is usually a secondary consideration, and as a result, the level of service often tends to reflect this secondary focus. Respitech Medical, Inc.’s primary focus is Respiratory Care. Not only do we provide per-diem and long-term solutions to staffing, we are involved in other critical aspects of the profession including consulting, education & professional development, as well as service line delivery and integration analysis. 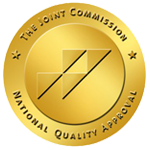 As a Joint Commissioned Certified Healthcare Staffing Firm, Respitech Medical is also focused on excellence of care and patient safety. Healthcare is continuously changing in response to increasing demands. Respiratory Care Departments across the country are expected to assume more responsibilities and expand patient care services within significant budgetary constraints. Patient care needs and technology are also becoming more complex and demanding. We have a proven record of being a valuable asset to our clients as they meet new challenges in a dynamic health care environment. Whether the need is per diem staffing or the flexibility, and savings, of long term contract management, we offer the resources and experience to solve immediate or long term challenges. We provide 24- hour on-call scheduling so we’re there when you need us. If you have a sick call at the beginning of a shift or if you have an on-going need on a specific shift, we can help.